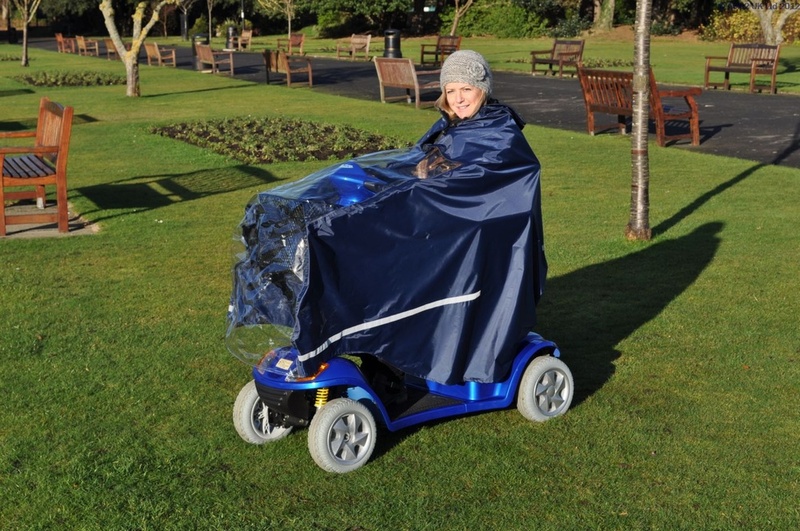 The scooter cape is a highly practical garment that covers you and your scooter. The soft clear panel at the front allows oncoming cars and pedestrians to see your lights, whilst you can see your control panel instruments. Velcro slots at the side also allow wing mirrors to sit outside the garment, ensuring you have maximum visibility. A full length heavy duty side zip opens to the bottom of the cape so that you can place it over the scooter and step in. 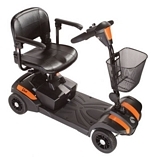 Reflective strips at the side and the rear ensure that you can be seen at night from all angles.